The cordierite is a stone from the silicate family. It is composed of magnesium silicate and aluminum. It shows vitreous to matte glints in blue hues where you can see a three color variation according to the angle (pleochroism): blue, yellow and purple. Its crystals can reach 18cm long. The biggest carved cordierite is located in the British Museum and it weighs 855 carats. It was described by the mineralogist Lucas in 1813. Its name was given in honor of the French mineralogist Louis Corbier who described it in 1809 under the name of dichroite. It can be found under the name of dichroite coming from “duo” or “two” and “Kroma” or “color” which refers to its pleochroism. It commonly appears as Iolite or Volithe (Werner) from the Greek “lol” or “purple” as a reference to the color of the flower with the same name. It can also be found under other names such as New Zealand blue quartz (steinheil), water sapphire (Buffon) or Steinheilite (Pansner). Cordierite is difficult to identify and can be easily confused with amethyst, quartz, tanzanite or serpentine. It is insoluble in acid and resists to fire. Cordierite is sometimes mentioned as a stone linked to Athena, the Greek goddess of war and wisdom. However we have not found references. Some Scientific’s think that cordierite could have been the famous sun stone that would have allowed Vikings to orientate them even when the sky was covered. It is sometimes named “compass stone” or “Vikings stone” because it was thought that the side of the stone that stayed the lighter under a cloudy sky shows in which axis is the sun. The cordierite is sometimes given as the birth stone for the 21st year of marriage. Mines: Germany, Algeria, Canada, France, Italy, Burma, Sri Lanka, India, Madagascar, USA, Norway, Brazil. The cordierite stone is recommended for hepatic problems. The iolite would help to sleep and have a restorative sleep. It would help the liver and the vesicle to work well. Cordierite would strengthen nerves and would help in cases of paralysis. It would help absorb iron. The iolite would be an efficient analgesic against headaches. It would reduce fat deposits in the body. The cordierite would improve hair and nails growth. 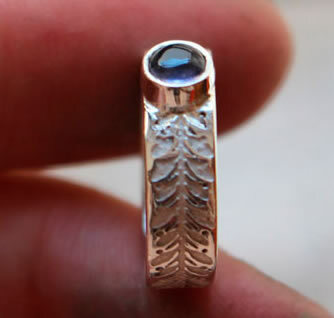 The iolite would be efficient in the treatment of fever and malaria.